Composed of overlapping circles, the Flower of Life symbol is known throughout the world as having perfect form, proportion and harmony. Many believe it's the visual representation of the connections that run through all life on Earth. 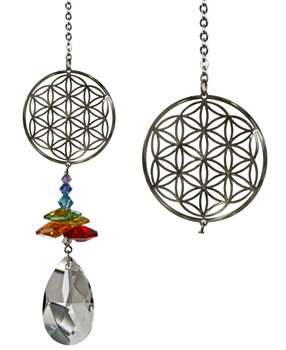 Not boxed, instead this crystal suncatcher comes with a sheer organza gift bag.